For more than 25 years our Adopt-a-Beach volunteers have worked to keep Great Lakes shorelines healthy, safe, and beautiful. Hit the beach with us — sign up for a beach cleanup today! Every spring, thousands of Adopt-a-Beach volunteers come together to get our Great Lakes beaches ready for the summer season. Join us this Earth Month for Spring Kick-Off, starting April 13th. 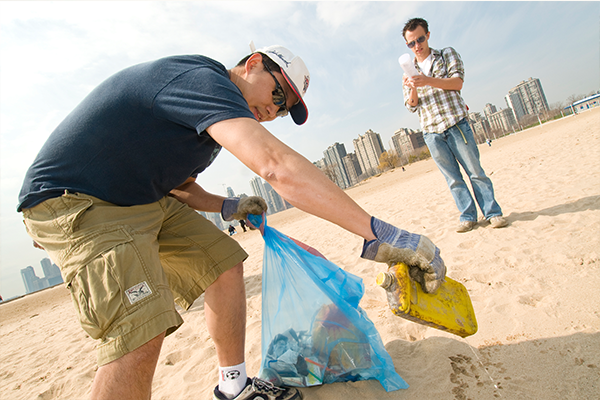 Find an Adopt-a-Beach cleanup near you and sign up. Show up at the beach. Clean up, make friends and have fun!